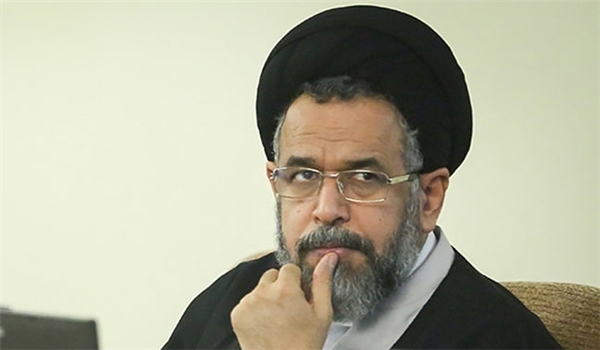 Press TV – Iranian Intelligence Minister Seyyed Mahmoud Alavi has said several terrorist plots were thwarted during the holy month of Muharram. On Monday, he said that several people with plans to launch terror attacks in multiple locations across the country were identified and detained by Iran’s Intelligence Ministry since the beginning of Muharram. Muharram, the first month of the Islamic calendar, marks the martyrdom anniversary of the grandson of prophet Mohammad and his companions. Alavi added that most of the detained terrorists did not belong to any group and were working independently. After the twin terrorist attacks in Tehran in early June, Iran increased its counter-terrorism operations across the country. On June 7, gunmen mounted almost simultaneous assaults on Iran’s Parliament and the Mausoleum of the late Founder of the Islamic Republic Imam Khomeini, killing 17 people and injuring over 50 others. The Daesh Takfiri terrorist group claimed responsibility for the assaults.